History | See you in Ukraine! The history of our land is the history of many nations and countries that existed on its territory. Today, scientists from different countries conduct research of historical sites left by the mysterious culture of Trypillia. It was among the first agricultural civilizations that existed in the 4-th millennium B. C. This culture is named after the small town of Trypillia near Kyiv. Nomadic tribes of ancient Scythians also left their mark on Ukraine. Artifacts of their ancient culture are still found in burial mounds dating back to the 6-th–4-th centuries B. C. The most famous discovery of Scythian culture is a golden Scythian pectoral, weighing more than one kilogram. It is sometimes compared to the discovery of Tutankhamen’s tomb. 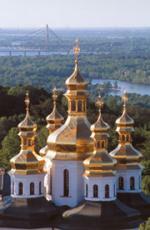 The territory of modern-day Ukraine gave birth to the civilization of the Eastern Slavs. Back in the 10-th–11-th centuries, the powerful European state of the Kyivan Rus flourished here. Why was it European? It was European because it maintained cultural, commercial, political and dynastical relations with European countries of that time. Princes ruled this state and, interestingly, there were the people who elected these princes at special meetings called viche. 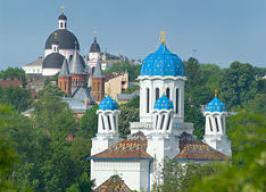 The cupolas of the Kyivo-Pecherska Lavra and St. Sophia have towered above Kyiv since that legendary time. These churches have been placed on UNESCO’s list of World Heritage Sites. The Ukrainian Cossacks, who ruled in the 15-th century, wrote another outstanding story for our history books. Despite being under the control of other countries, at that time Ukraine gave birth to a state-like establishment called the Cossacks Hetmanate. This was an army that defended the Ukrainian people from conquerors, entered into alliances with other states, and contributed to resolving European conflicts. This army won fame throughout all of Europe in the campaign against the Turkish invasion. The Cossacks had their own political and administrative center called the Zaporizhska Sich and elected their leaders based on democratic principles. Despite the historical misfortunes, Ukrainians have managed to hold on to their commitment to establish a state, and they attained that goal in 1991. We are now striving to build a new democratic state. We have an opportunity not only to be proud of our history, but also to use the positive historical experience in this construction.